This lovely and oh-so-soft sherpa blanket will be baby’s snuggly favorite. 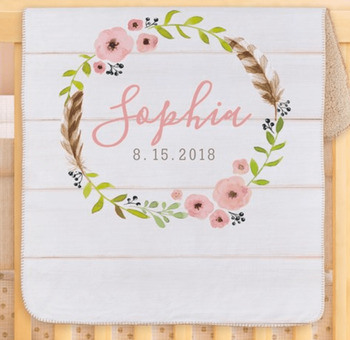 We will personalize one side by adding the child’s name and, if desired, date of birth. Makes a lovely and memorable gift.